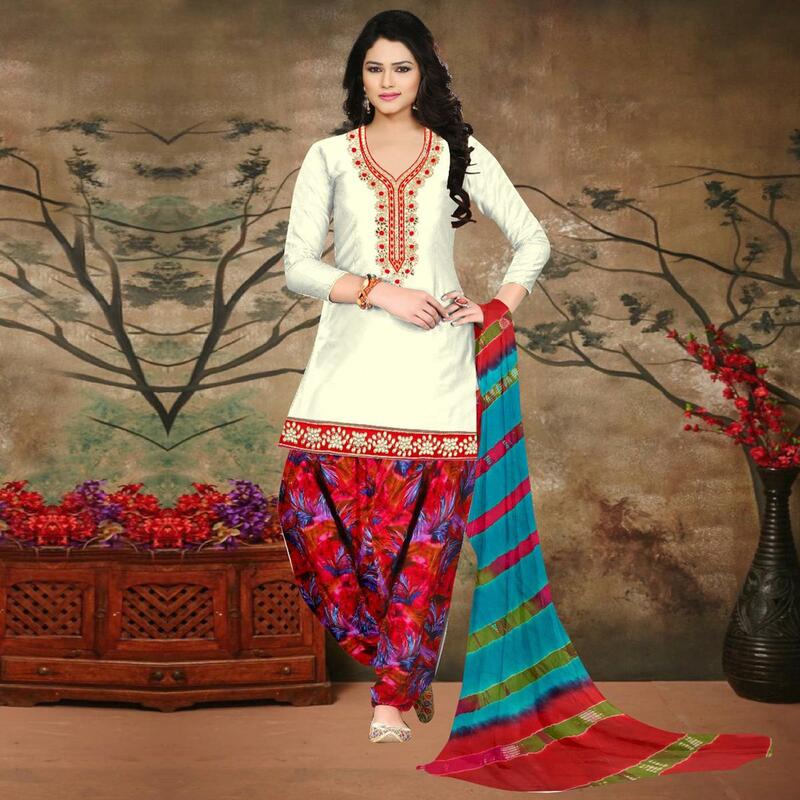 All of this accenting the feminine beauty with this off white-red colored partywear salwar suit. 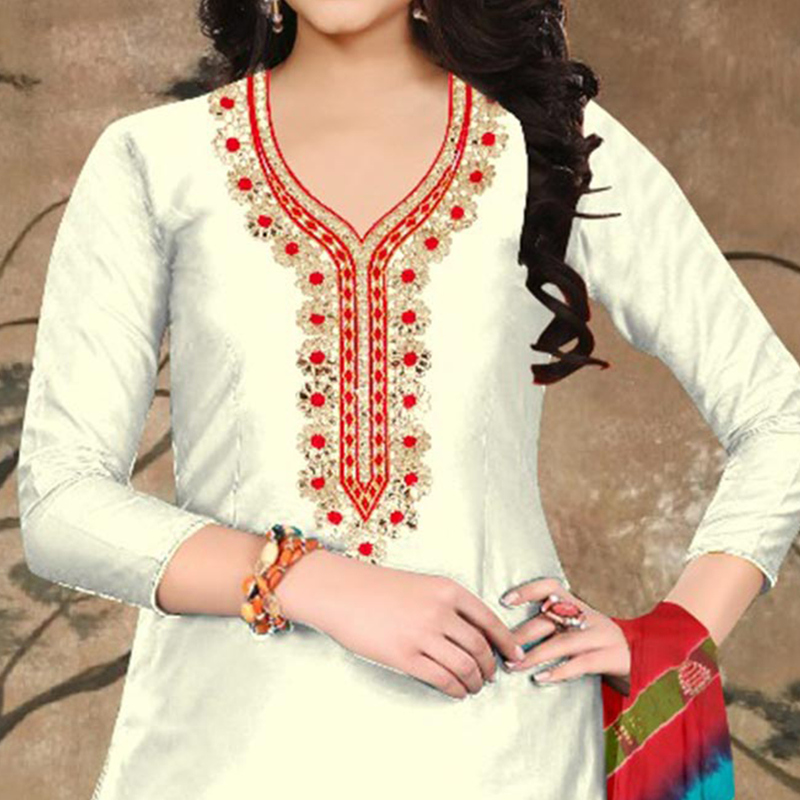 This salwar suit is prettified with gota patti embroidery work with lace which makes it appear authentic. Made from camric cotton fabric and cotton bottom along with multicolored chiffon dupatta which makes it eye catchy. The suit consists of an un-stitched top fabric along with free sized stitched patiala. This outfit is perfect to wear at office, social-casual outings and parties. Team this suit with classy accessories and high heel for a complete look. Length Chest Upto 40 - 42 Inches and length Upto 40 - 41 Inches. Length Waist upto 50 - 52 inches and length upto 41- 43 inches.